Blue Poop - What Causes It? You visit the bathroom and are shocked to find that you have blue poop. You think to yourself "this can't be normal!" It is not very common to have poop which is blue and so when we see it we are alarmed but in most cases it is nothing to worry about. See below for a few harmless things which can turn your poop blue. 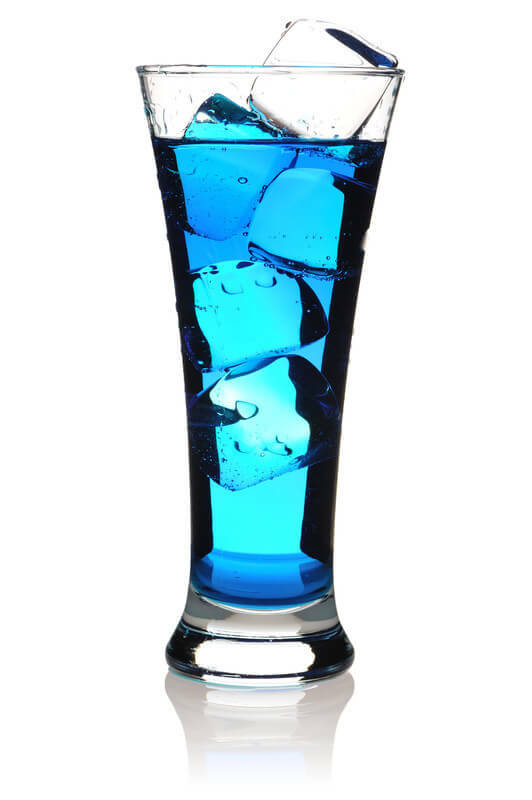 This liqueur with an orange-like flavor is often colored with brilliant blue. 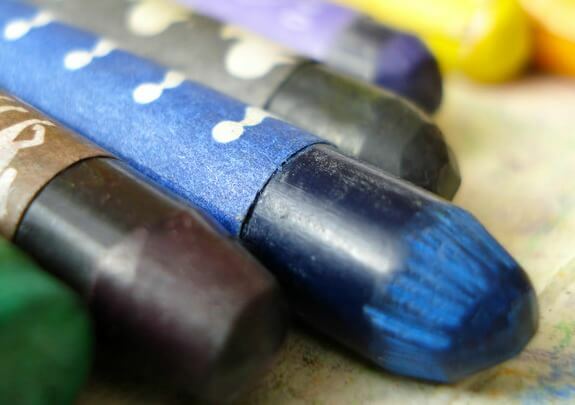 Sometimes children eat inedible products like crayons, paint and play-dough which can turn their poop blue. In small quantities these are not harmful but large amounts of wax crayons can cause obstruction. Old paint can be toxic as it may contain lead and play-dough contains large amounts of salt and so is dangerous for young children and pets. 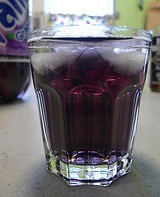 You may think that this grape flavored soda drink will give you blue poop due to the color of grape skins but in fact most recipes have the dyes Carmoisine and Brilliant Blue in them. 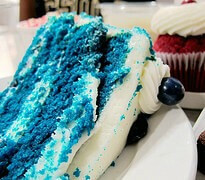 Velvet cakes are very popular and originally they were made in red, however, now blue is increasingly fashionable. The color comes from edible food dye. Any product containing blue food coloring, like Kool-Aid for example can give you blue poop and is nothing to worry about. 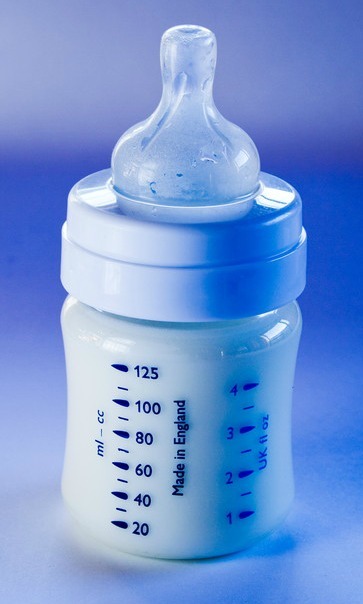 Some mothers have reported that their babies have bluish/grey stools for a while when they change milk formulas. This could be due to the added iron content of the milk. 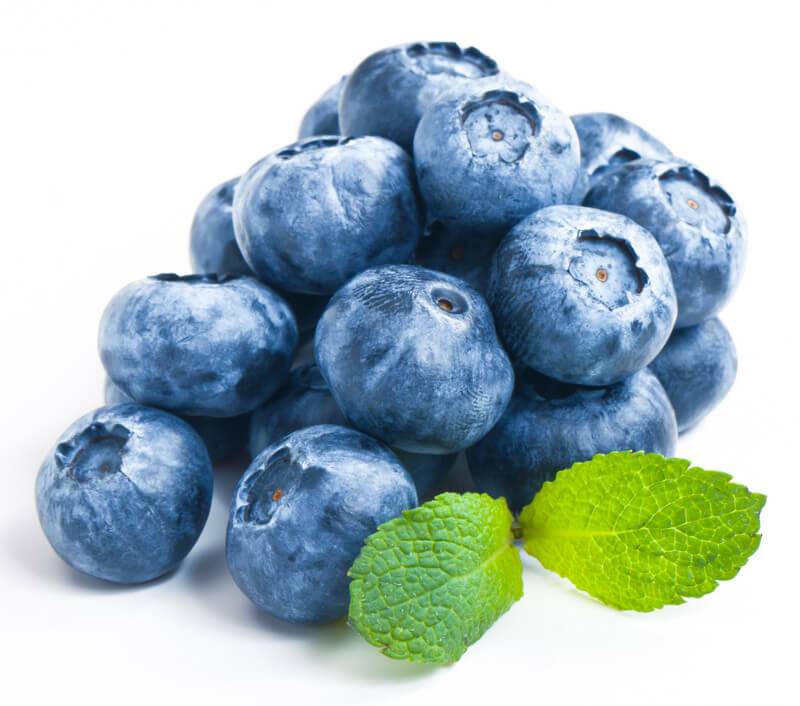 Blueberries can give a blue tinge to your poop. They can if eaten in high enough quantities however also give you black poop. Blueberries have in recent times become a very popular food, partly as they have a reputation as somewhat of a super-food. Consequently, they are appearing in many different products but are the blueberries in your muffin or cereal the genuine article? Increasingly manufactured goods with pictures of fresh blueberries on the packaging do not have any blueberries listed in the ingredients at all! Instead the 'blueberry bits' that you see are made using a mixture of oil, sugar (usually corn syrup) and red and blue food coloring. These dyes still have the potential to turn your poop blue but will not give you the health benefits of fresh blueberries. Prussian blue capsules are administered to treat thallium, caesium and radiation poisoning. They will definitely give you blue poop! Their use is rare as these types of poisoning are also rare but poisoning can occur due to industrial accidents and contamination after unsafe disposal of medical and industrial waste. There have also been cases of heroin and cocaine being contaminated with thallium. Porphyria is a rare inherited metabolic disease where there is a disruption in the manufacture of heme which is needed to produce hemoglobin. There are at least eight different types of porphyria but they all cause a build up of substances called porphyrins in the body which cause pigment changes in the urine and stools. This is commonly known as the disease of purple poop but that purple color can sometimes have a bluish tinge. muscle weakness and others then please seek medical attention. Blue Poop - What Does This Mean For You? It is unlikely that any blue poop you observe is anything to worry about. DiarrheaNurse has given you information to answer the question " why is my poop blue ? " and as you can see nearly all blue hues come from your diet. However, as always if you feel ill then do visit your doctor. If your poop is bordering more on the black side than blue then this is more concerning as this could be a sign of bleeding in the gut. Please see here for more information: Black Stool - Should I be Worried?, Black Poop Causes and Black Diarrhea - Should I Go To ER?. If your poop is more blue/grey and looks like silver poop then you can find information about this on the White Poop - When to Call the Doctor page.